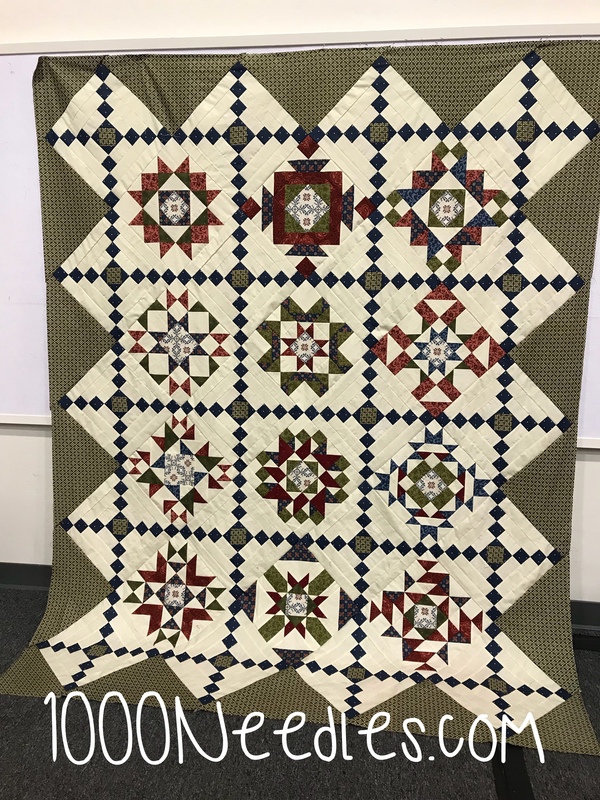 Celtic Solstice – I have all the quilting done! 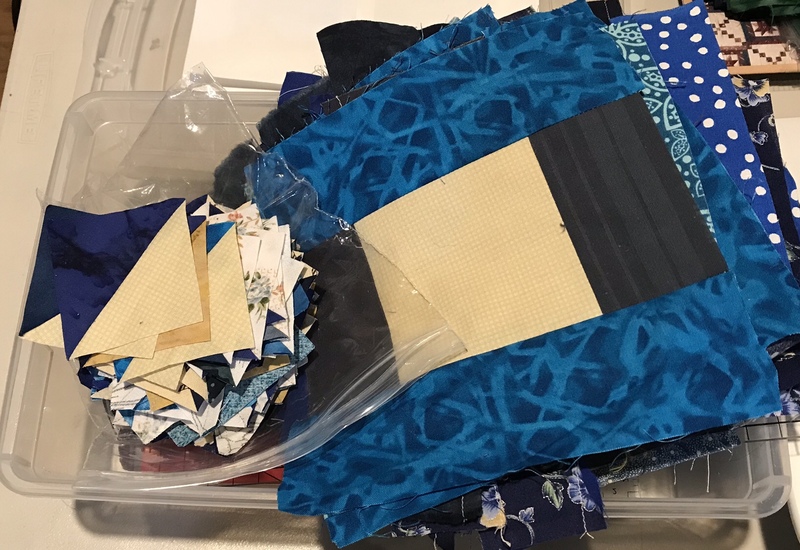 To be fair, I had 2 of the sides left to quilt at the end of January and just finished quilting the other two sides today. And, I have it all trimmed and ready for binding. So my goal for February is to get it bound and labeled. 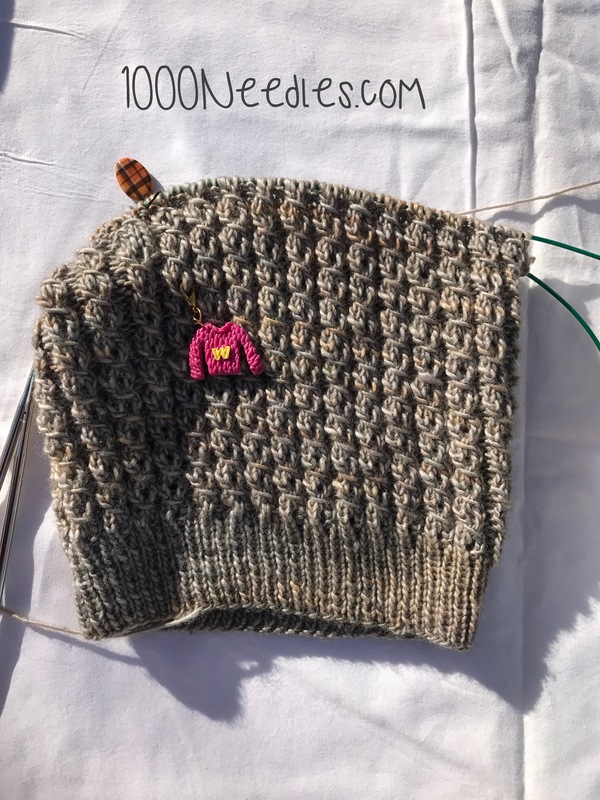 Good Fortune – In January I finished Clue 1 and got through most of Clue 2. I just need to finish trimming my HSTs for Clue 2, which I plan to do in February and work on Clue 3. 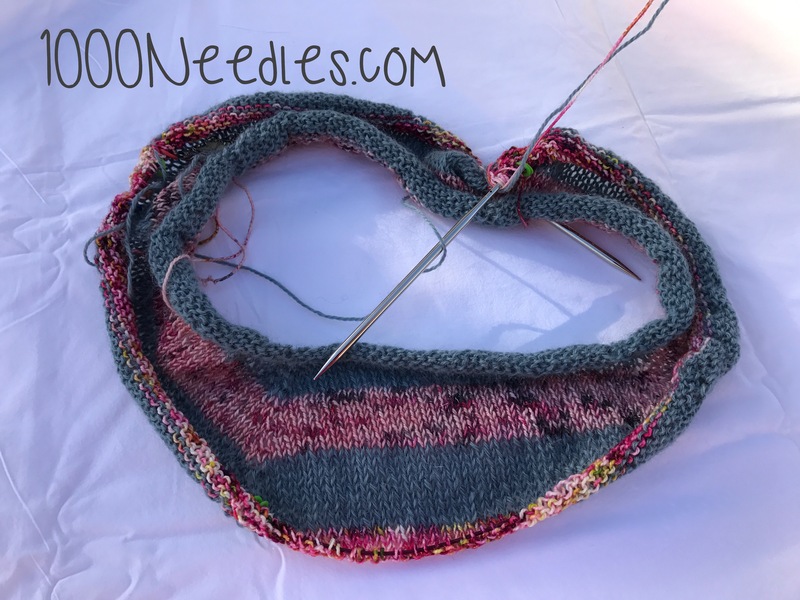 Provence – My goal for February is to piece the border. I’m still deciding if I should go with just 1 border or find a second border to add to it. 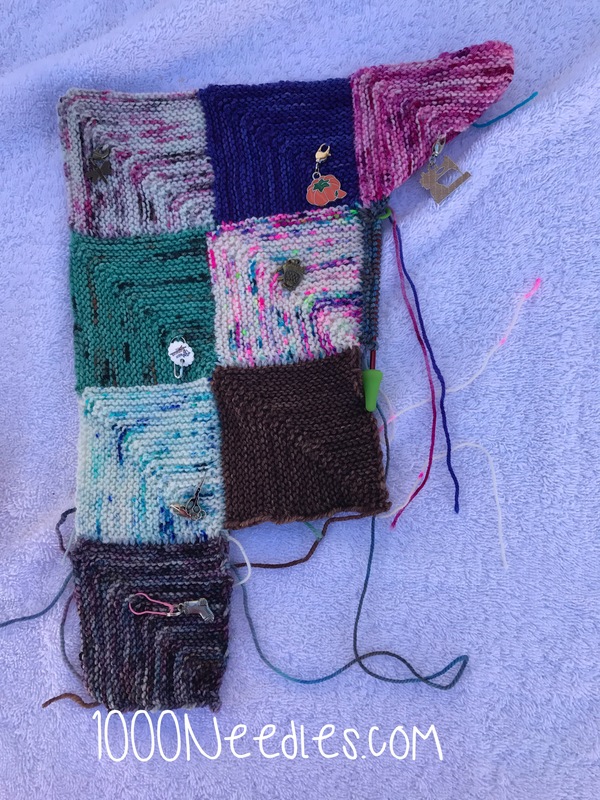 I generally work on my knitting during the week and when I’m out and about. So my focus knitting is on my monthly socks. Right now they are my February socks. Because it’s February. 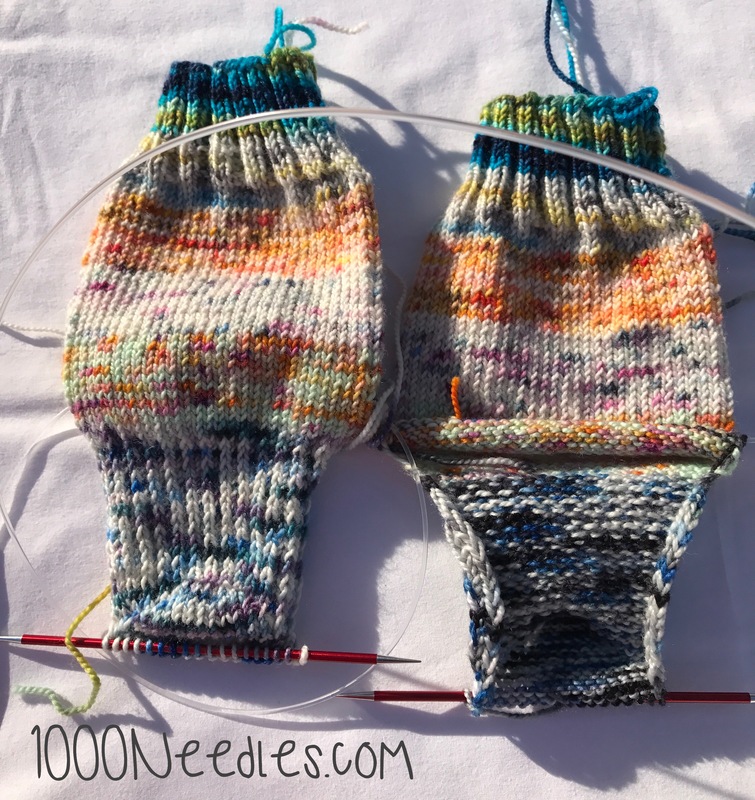 🙂 In January, I was working on Helen Stewart’s Honey Bees Dance Socks and they are not done. 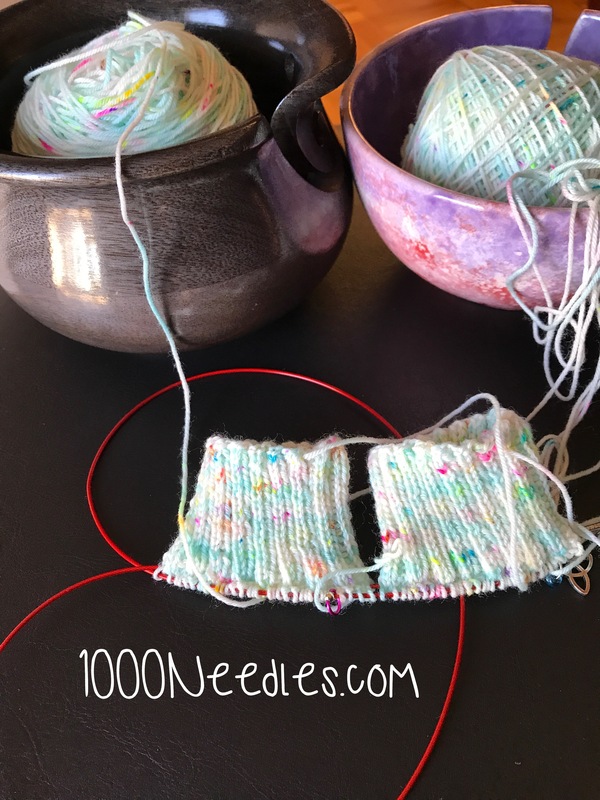 I’m using a sock blank so I can only do 1 sock at a time (I dislike doing 1 sock at a time!). 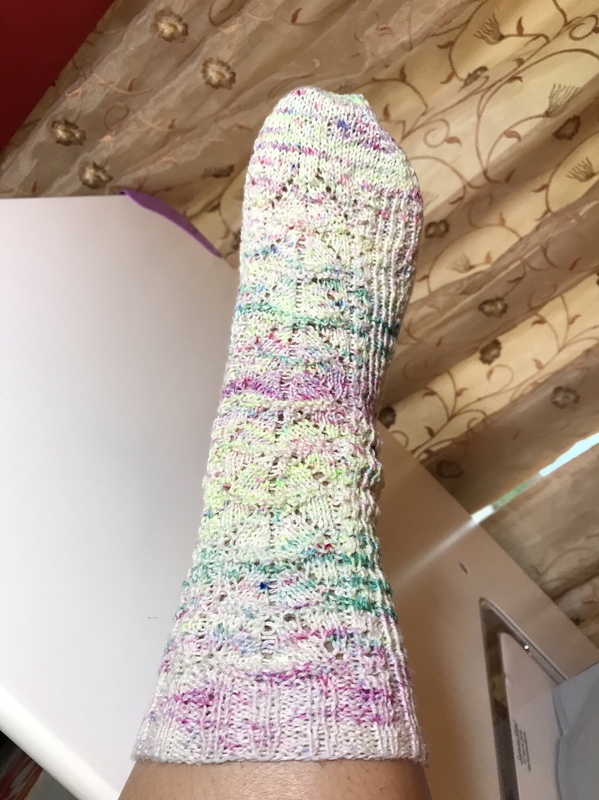 And I’m still on my first sock. I have one last pattern repeat and then I can do the toes. This is almost done. But it’s February now so these socks are not the socks I’m focusing on. 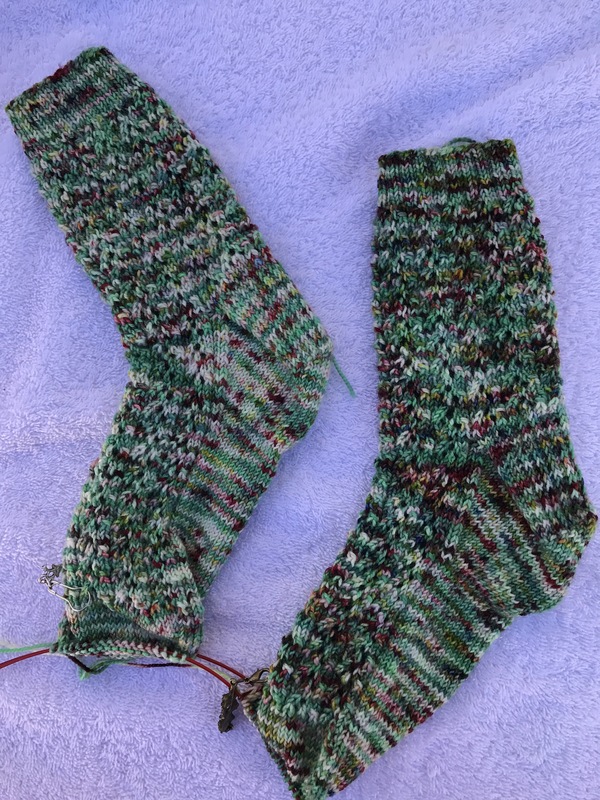 I will try to finish these as I’m almost done… My February socks are Kim Drotar’s Mercury Socks using Hypnotic Yarns “Grinchmas” colorway. 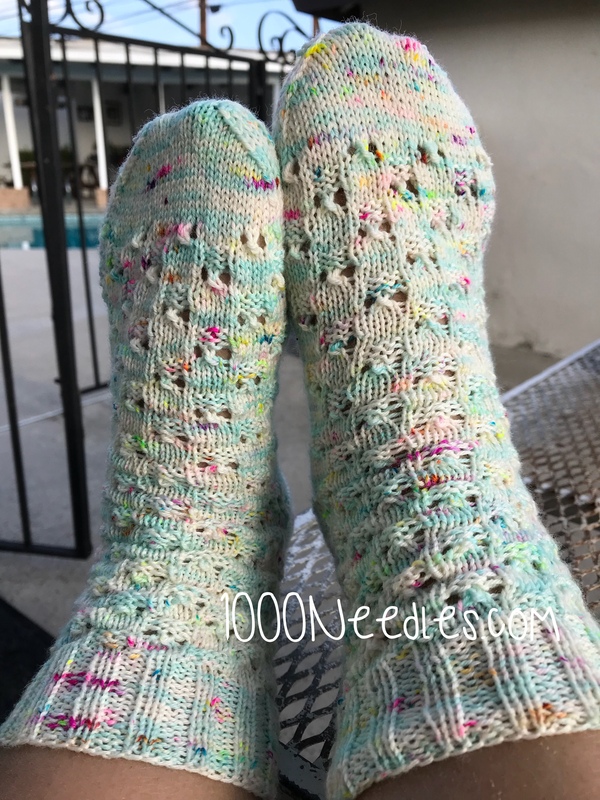 I’m doing these toe up and I finished the first pattern repeat. 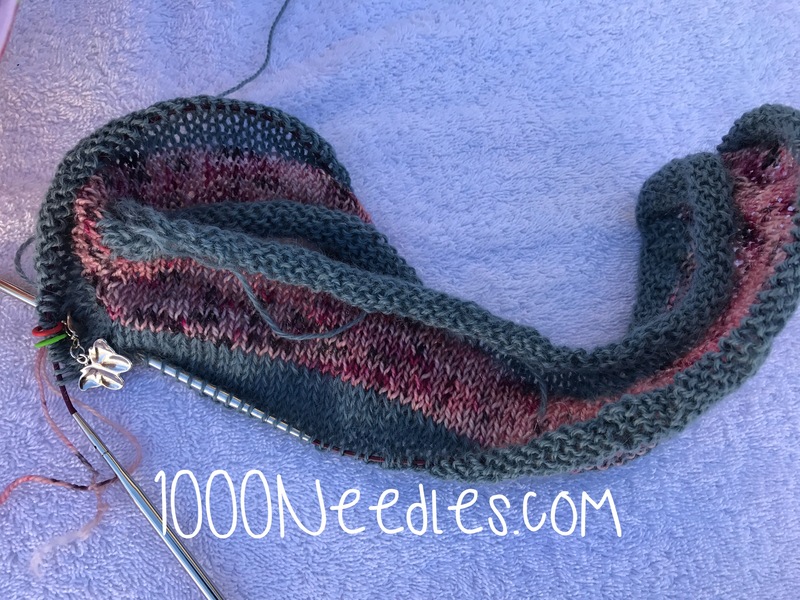 I plan to do a pattern repeat a day so I should be at the heel in about 2 weeks. I work on these daily. 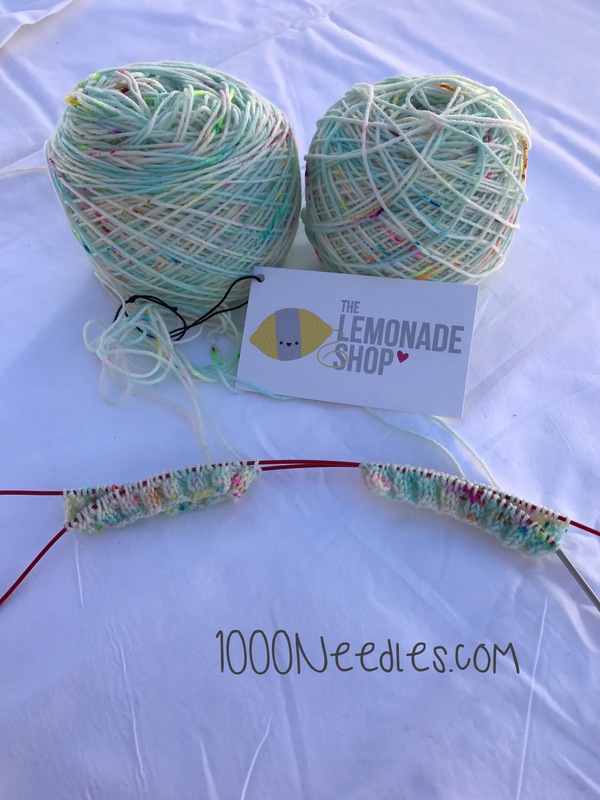 On most Tuesdays and Thursday evenings I meet with some knitting friends at our LYS – A Major Knitwork in Van Nuys, CA. 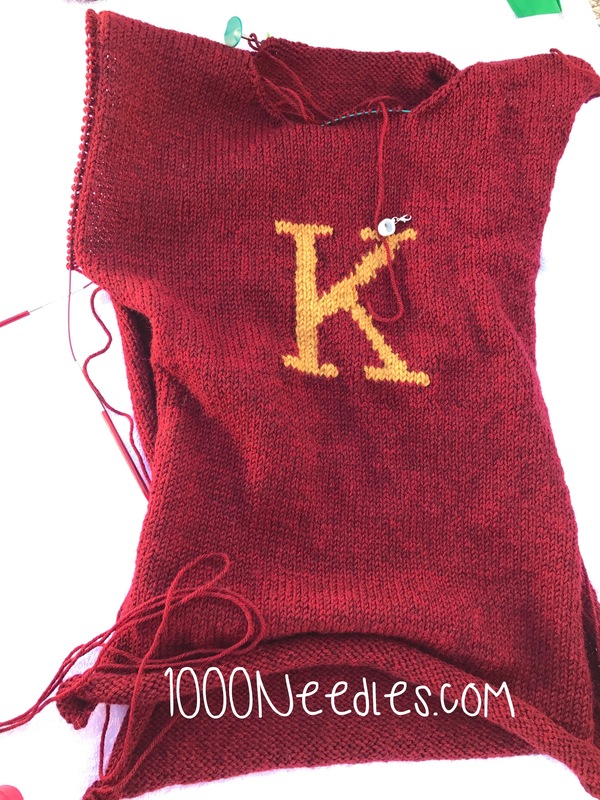 There I work first on Jacob’s Weasley Sweater. 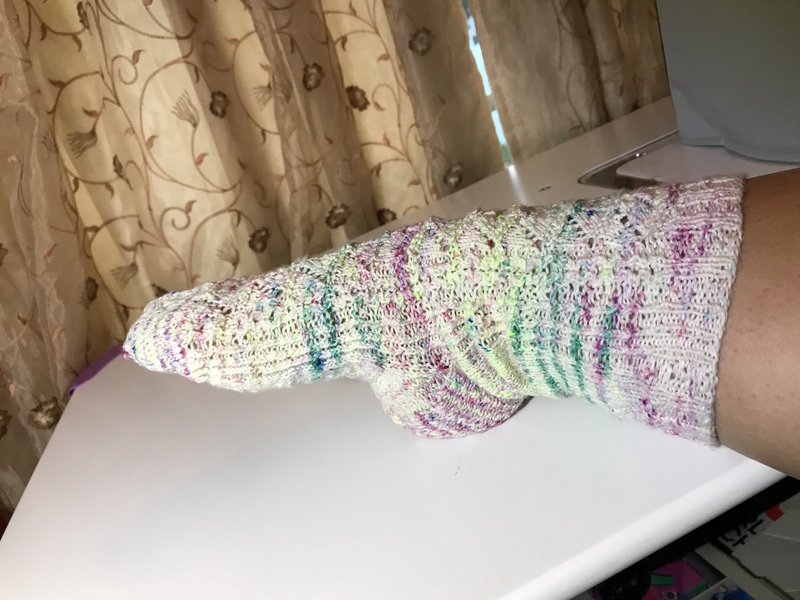 I finished the front and I’m currently working on the neck shaping. My goal for February is to be working on the sleeves. 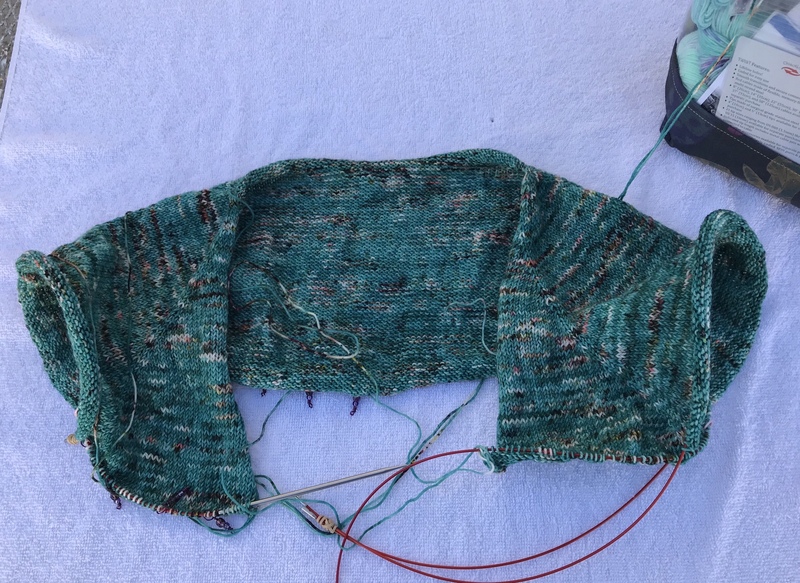 And when I get to a good stopping point, my favorite piece to work on is my Featherweight Cardigan. 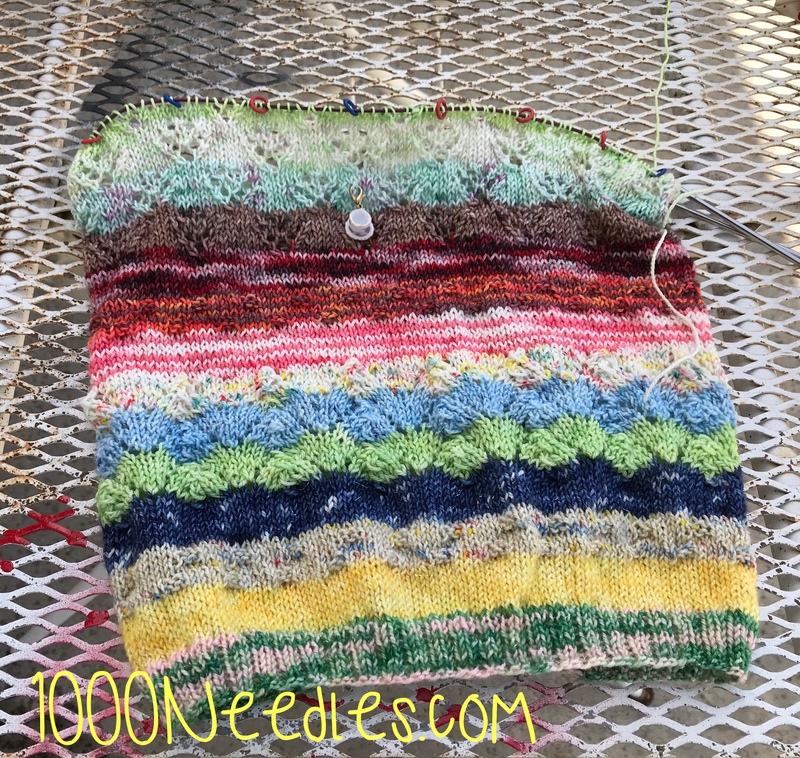 I love working on this and right now I’m finishing Yarn 1 and moving in Yarn 2. 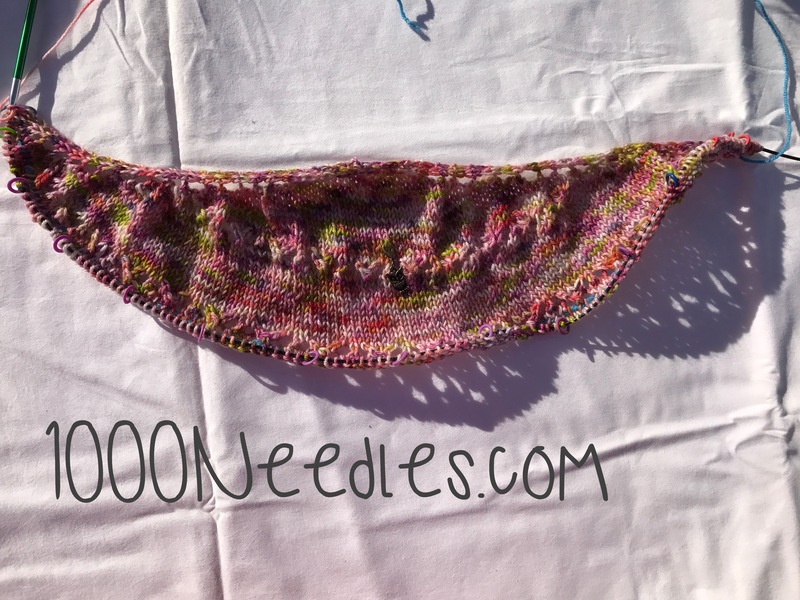 In February I want to be working in Yarn 3. Mama’s Bukid- I was able to finish the pages in January and every month from now until it’s finished my plan is to finish 2 columns per month. Gamer – I was able to get halfway through page 6 so in February my goal is to finish page 6. 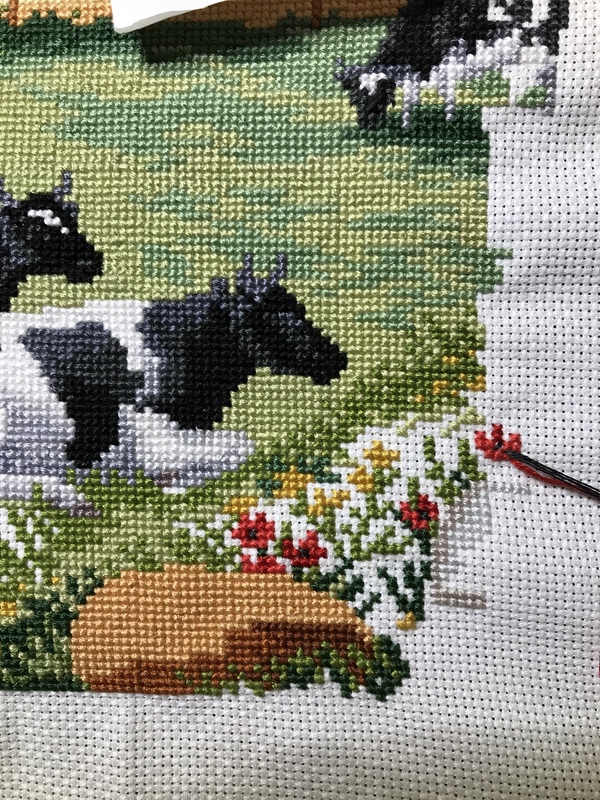 Snowman – My February goal is to finish stitching the perimeter of this WIP. Have a Happy Saturday Night! 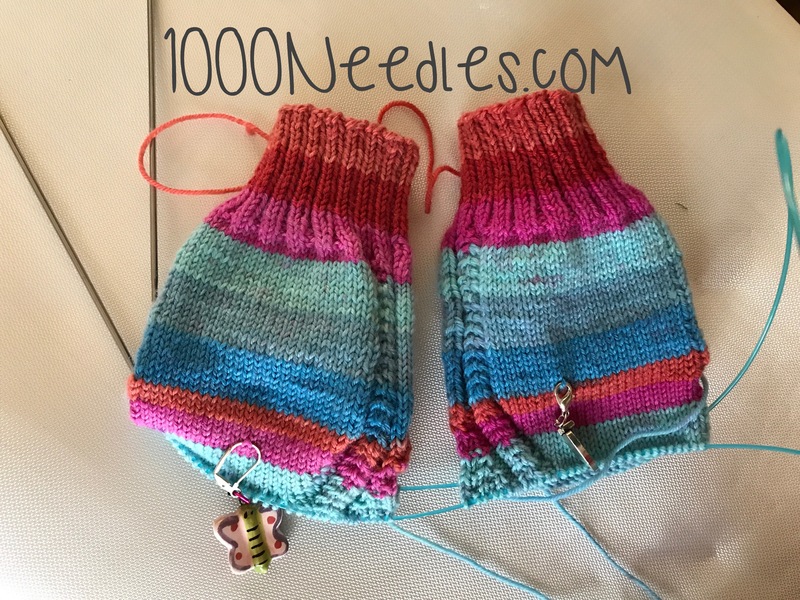 I still have a few pattern repeats to complete on the foot before I can start the toe. 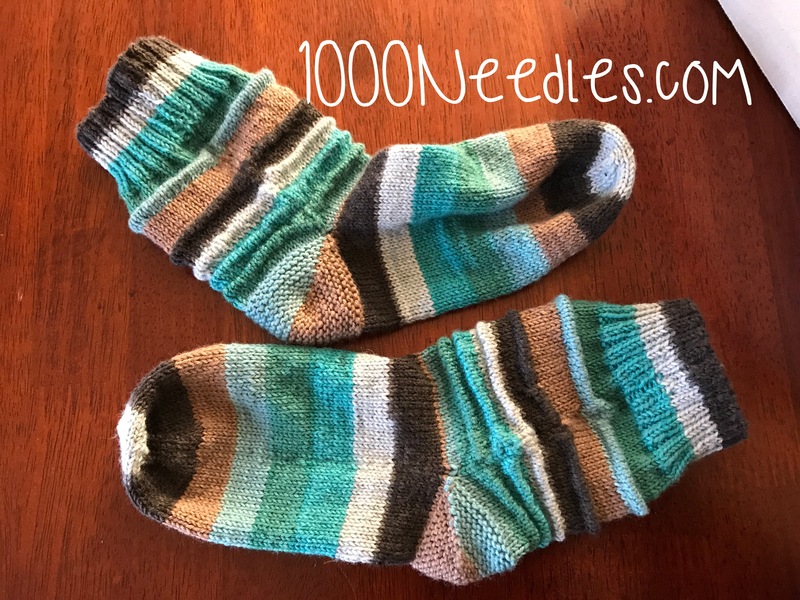 MyPOA for this week is to finish these socks this week and as long as I keep working on these every day that should happen. As you know from my POA post, I finished the cuffs. Yay! 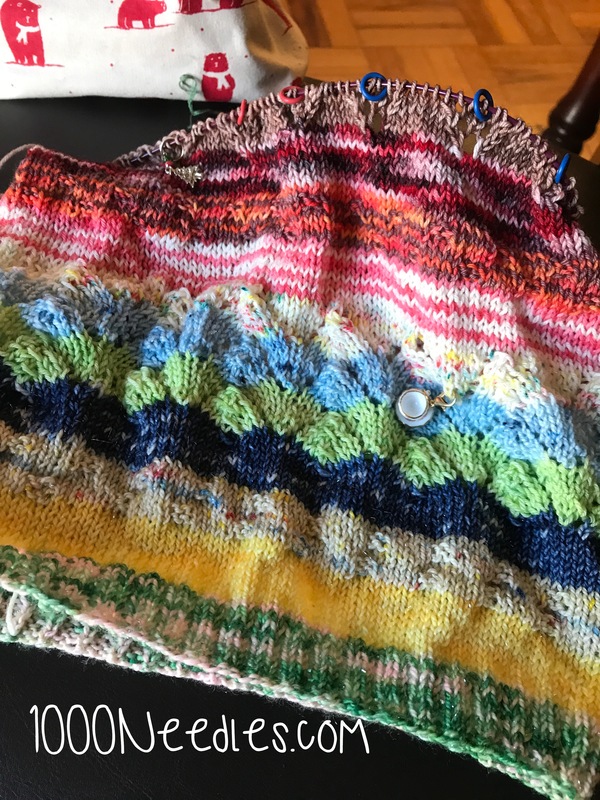 I am loving this sweater and I can’t wait to be finished. 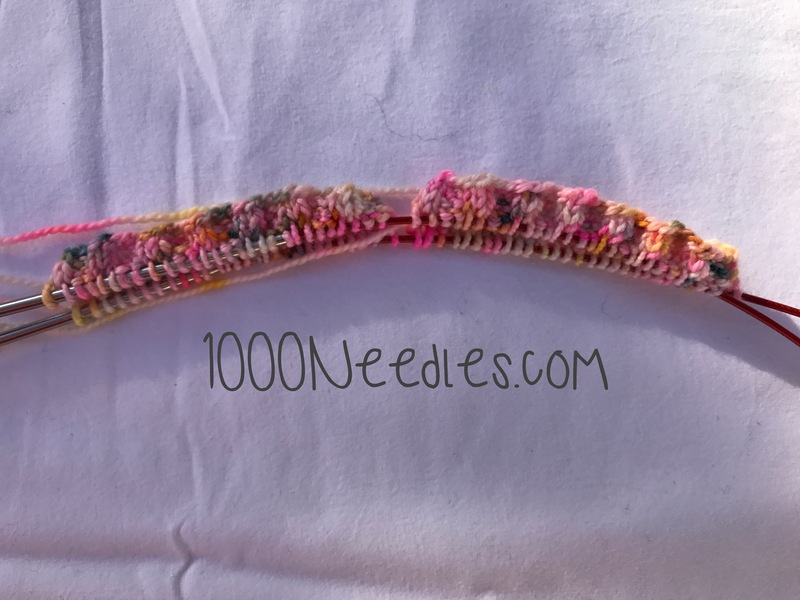 I plan to mattress stitch the sleeves and sides together and then finish up the neck part. Depending on how the neck part goes, I’m hoping this will be finished this week? Okay, maybe that’s dreaming so it will probably be more like a couple of weeks. 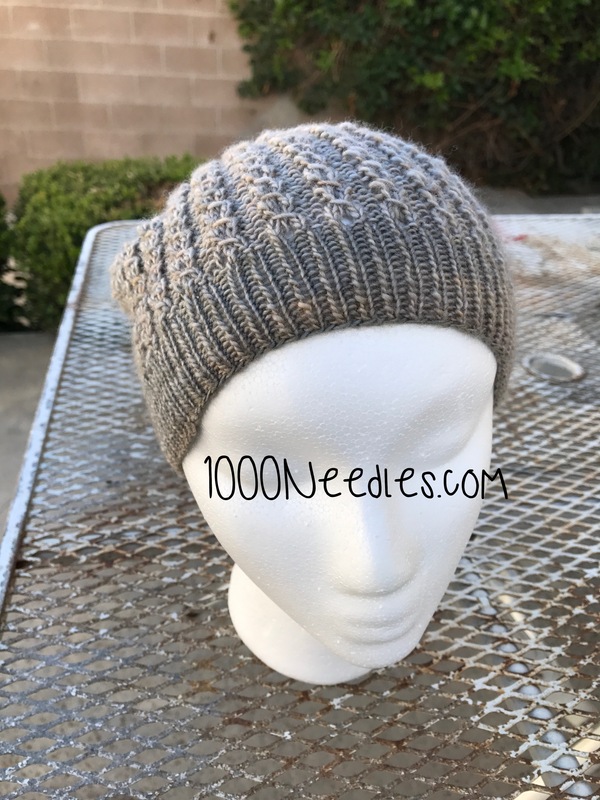 Here’s an update on my current set of priority knitting projects. 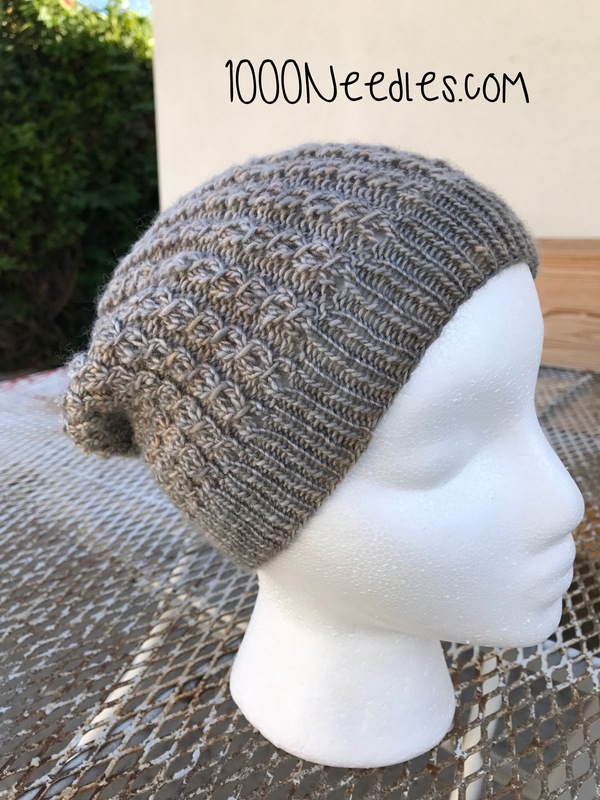 Last month, I finished 2 projects on my knitting priority list. 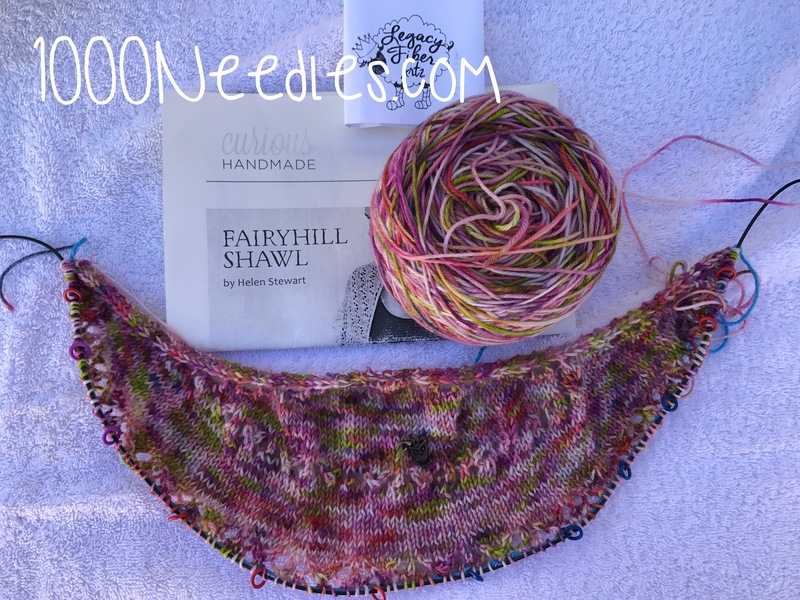 I have prioritized 3 projects to work on each day because I have a lot of knitting WIPs and I want to get them done. I’m not very good at working on one project at a time so I try to do a little bit every day on 3 main projects. 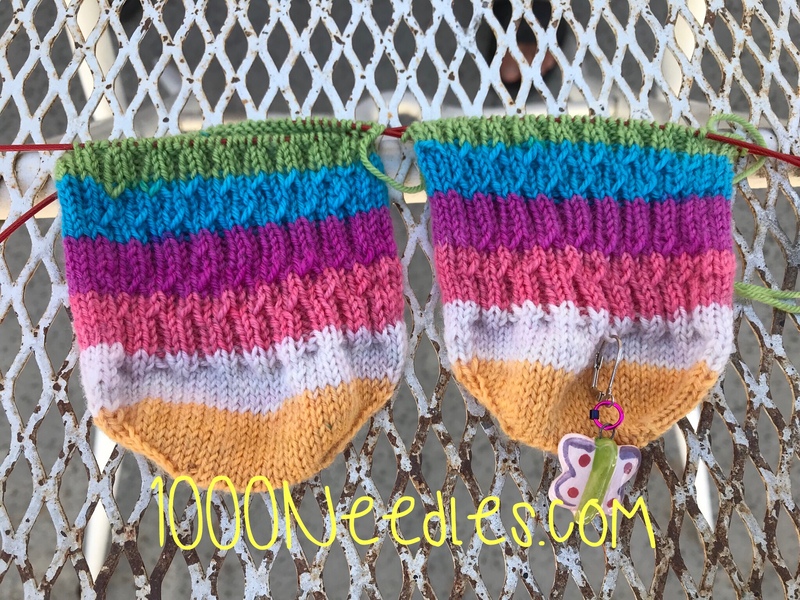 The socks is my number one project as I’m part of a KAL (Knit A Long) and need to get the pairs of socks done within the month to enter it in a drawing. 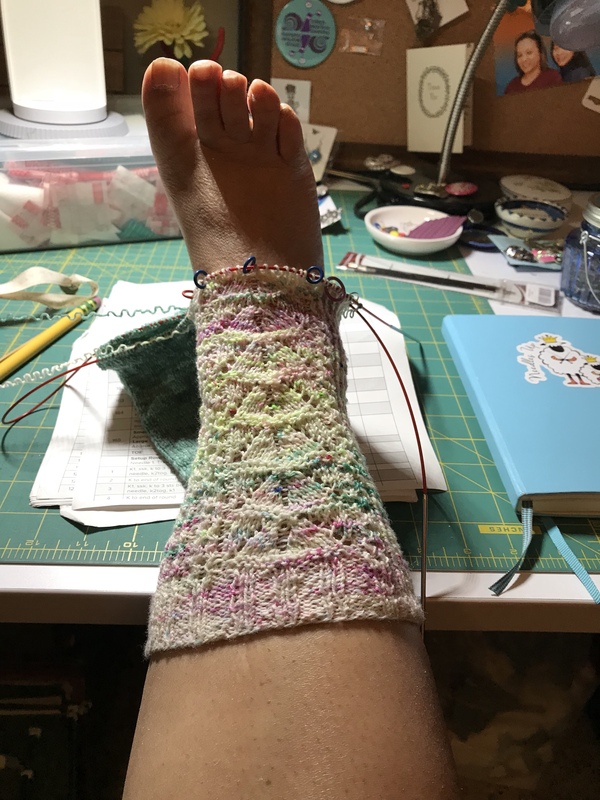 But like I said I don’t have the wherewithal to work on just the socks so I know where I should be at each week of the month in order for me to be finished by month end. 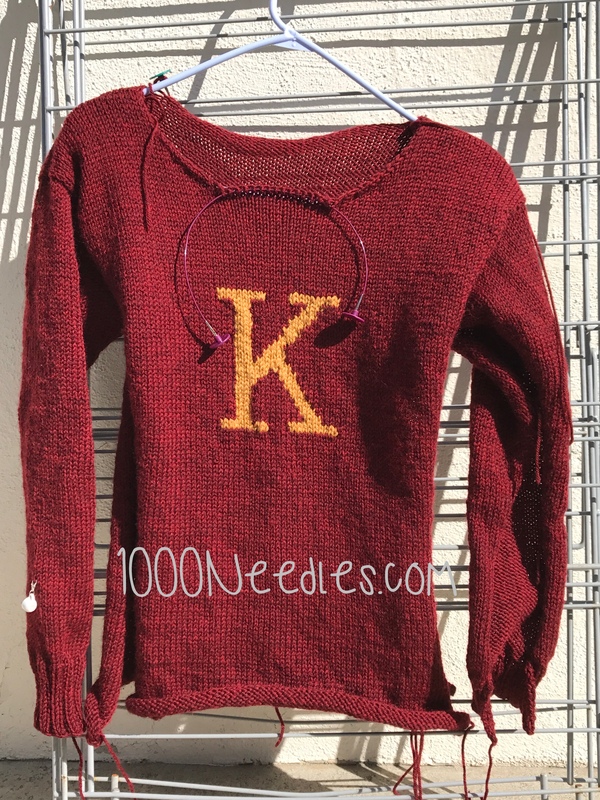 The sweater doesn’t have a deadline but I want to get it done as I’m going to be making a Weasley sweater for each of us (my family). I have this insane idea of taking our holiday pictures in our Weasley sweaters. I think it will be so cute and the hubby is willing to go along with it. I do not think that I’ll get it done for this Christmas but I’m hoping that it will be done in the next few Christmas’. Anyway, so I need to keep working a bit on these each day and one day they will be done. 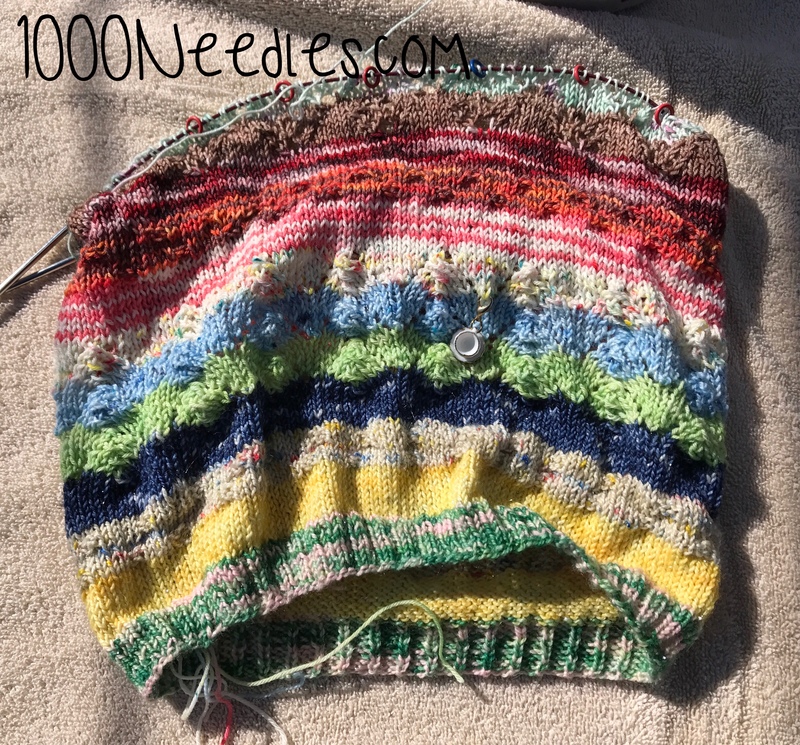 The cowl is the same in that I do not have a deadline other than I want to get it done and pushing it to #3 on my priority list means that it will get worked on regularly and it will be done one day soon. And now… it’s Finished! Yay! 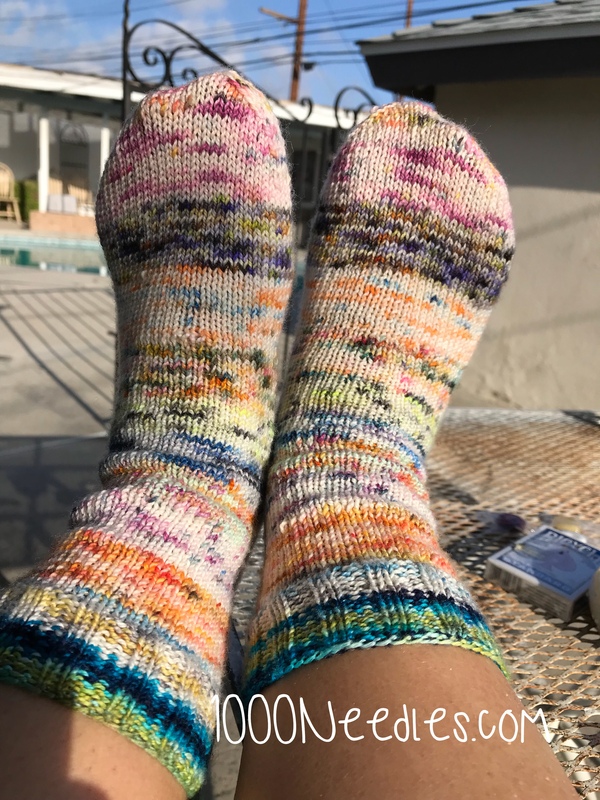 Resfeber Socks from Knitting Expat. 2. 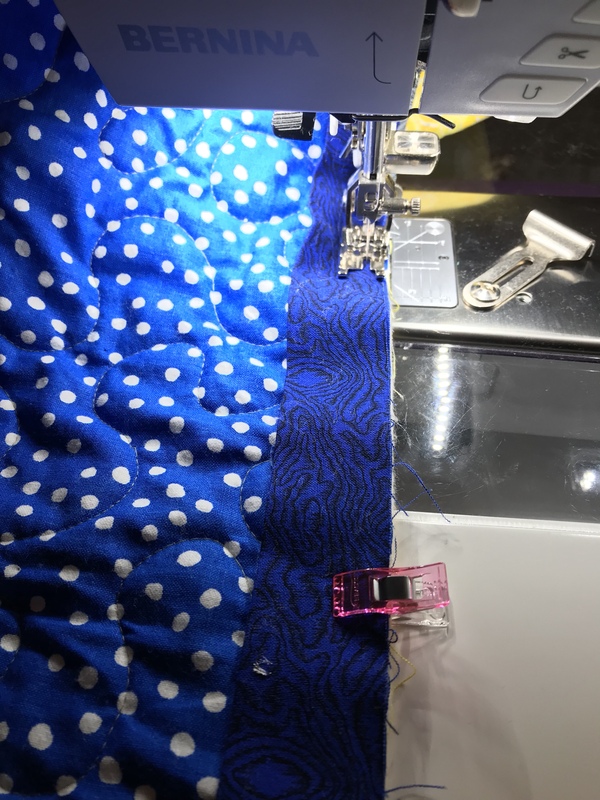 Christmas Socks – the Mercury pattern. 3. 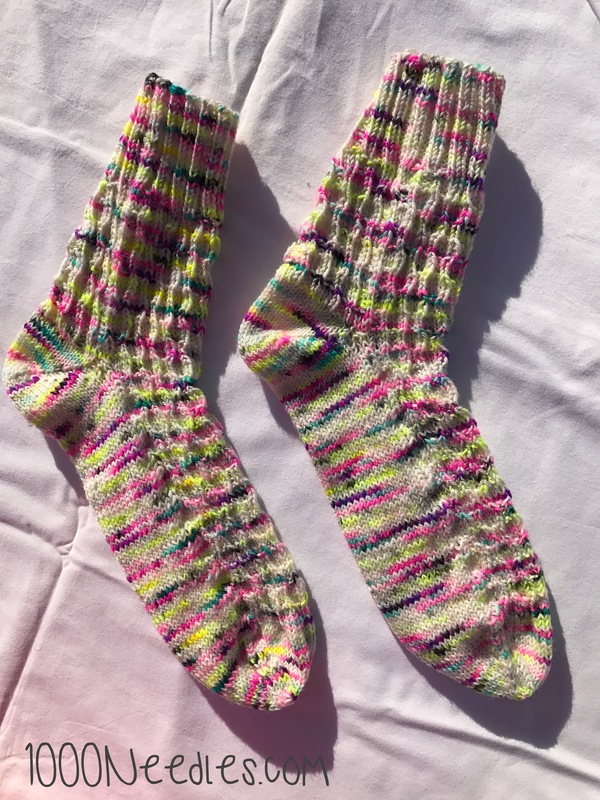 Vanilla socks – using the minis from my Row One subscription from October, 2017. Yarn is Twisted Owl Fiber Studios. I got the bulk of these done while at Road2CA. 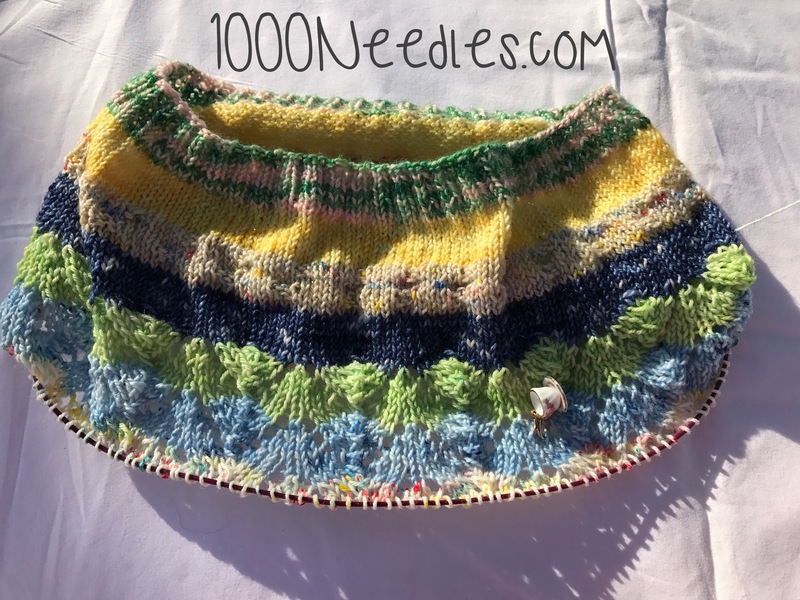 It was such easy knitting and I had a lot of time while I attended various lectures. I finished the heel flap but couldn’t remember how to do the turn so I started scrappy vanilla socks #2. 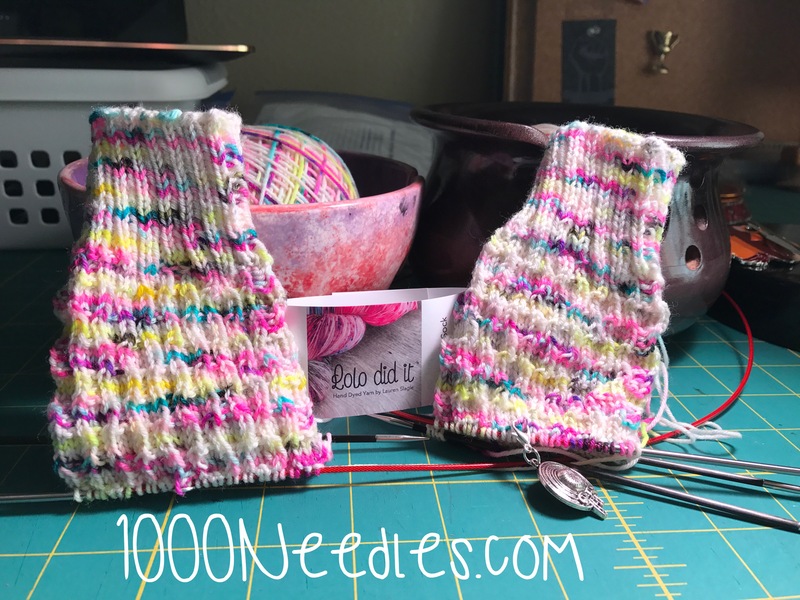 I didn’t get much done on these… but now I’ve got easy knitting ready to take with me wherever I go. 4. 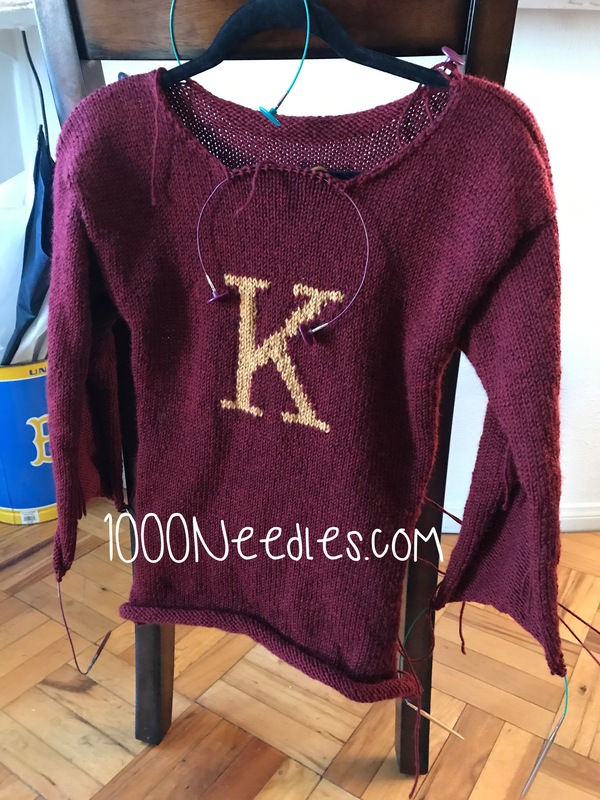 Kayla’s Weasley Sweater – Even though this is down the list a bit, it’s actually one of the items I work on every day. It’s a priority project! 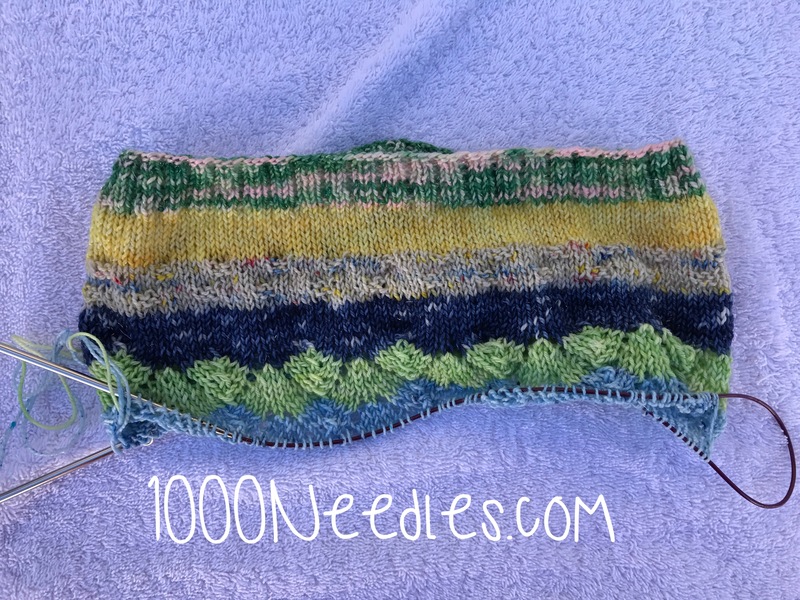 I’ve picked up stiches on both sleeves and I’m working on both concurrently. 10. 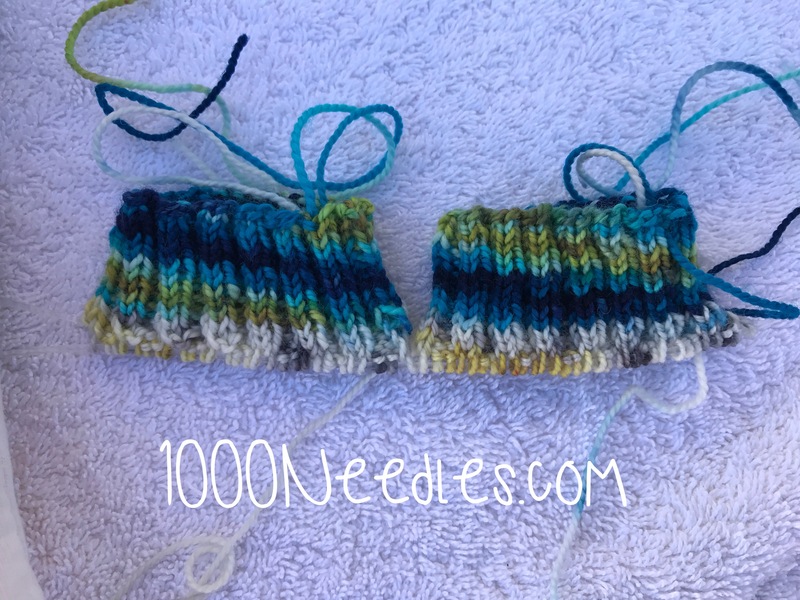 Other socks on the needles… I always have socks going on at various stages. Resfeber was my priority sock as it’s part of a KAL (knit-a-long) and now that I’m finished with that and the Christmas socks, which was my second priority sock. The new priority sock is Spattergroit. 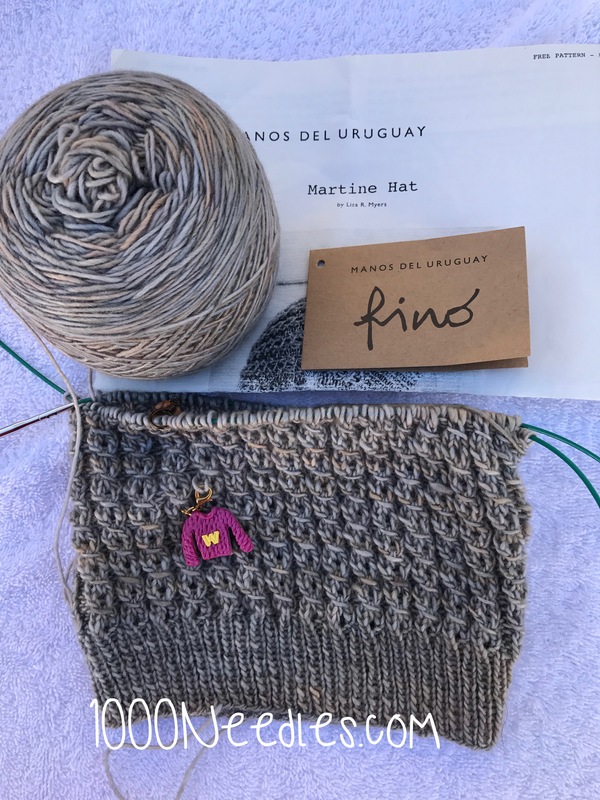 It will be my priority sock until 2/1 when the next sock comes out in the Sock Collection by Mina Phillips (the Knitting Expat). I can’t remember the collection’s name at the moment. She’s got two going and I can only remember the Wander Lust Sock Collection which is the one that Resfeber is part of. Dragon Pox is next. I just finished the ribbing so it’s no longer my easy on the go knitting (scrappy vanila sock #2 took it’s place). 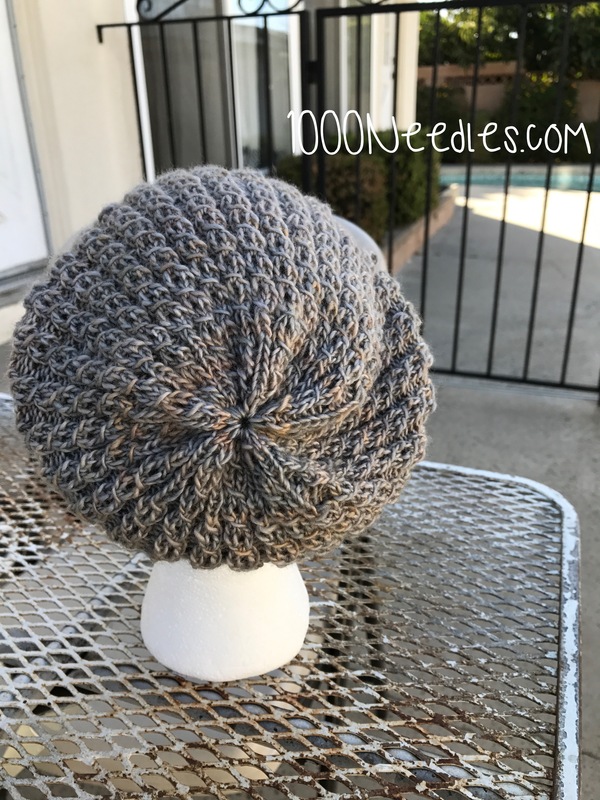 This is going to sit on the shelf a bit until I’m ready to tackle the pattern. And third, is my Praire Socks. 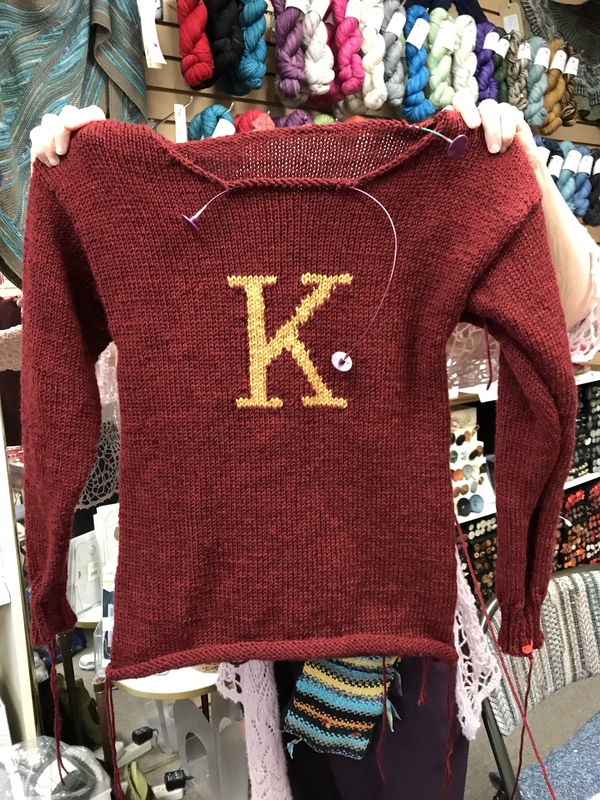 I only casted this on because my girlfriend and I were supposed to go to knit night at a particular yarn shop that we hadn’t gone to knit night before. 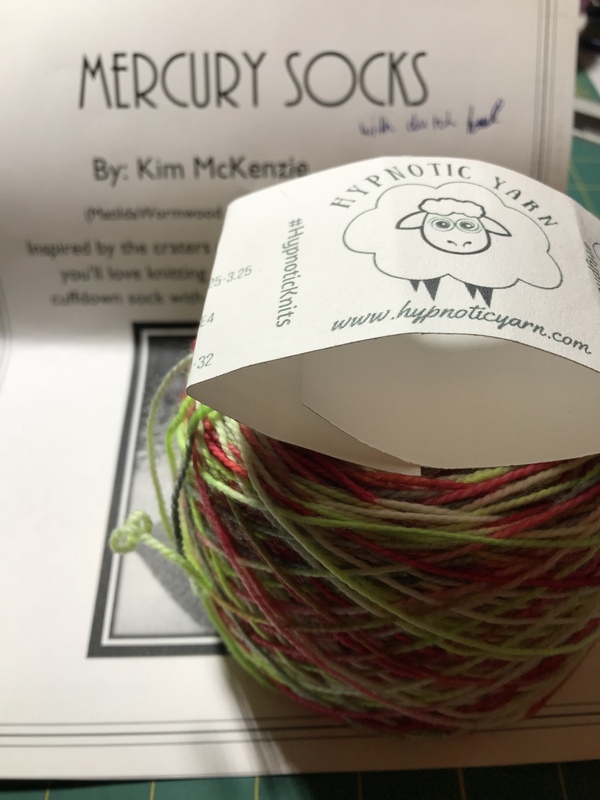 We’ve purchased yarn there before but never actually went to a knit night. So, I had to cake up yarn I had purchased and cast on a new sock so that I would be knitting on something purchased at the shop. I know I didn’t have to do this but it makes me feel better to do this. 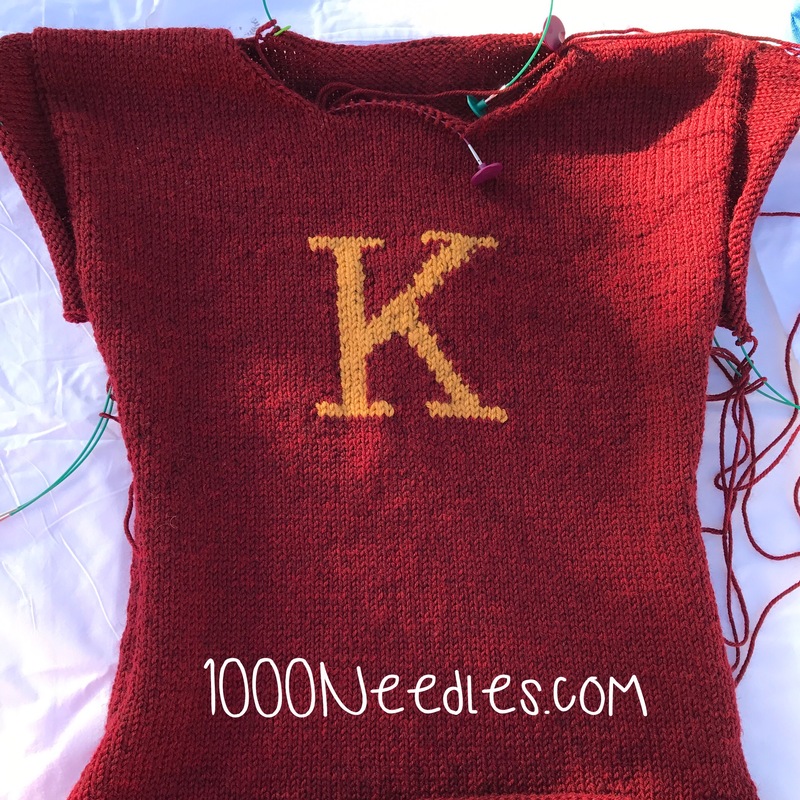 At least until I get to know the other knitters. 🙂 Anyway, our plans got cancelled and now this is sitting and waiting for the time we actually go to knit night at this shop. Resfeder Socks from Knitting Expat. I am at the point where I need to get the heels on. The goal for this week is to get through the heels and start the foot. This is my primary project as I would like to get this done this month. As long as I work on it each day this shouldn’t be a problem. 2. 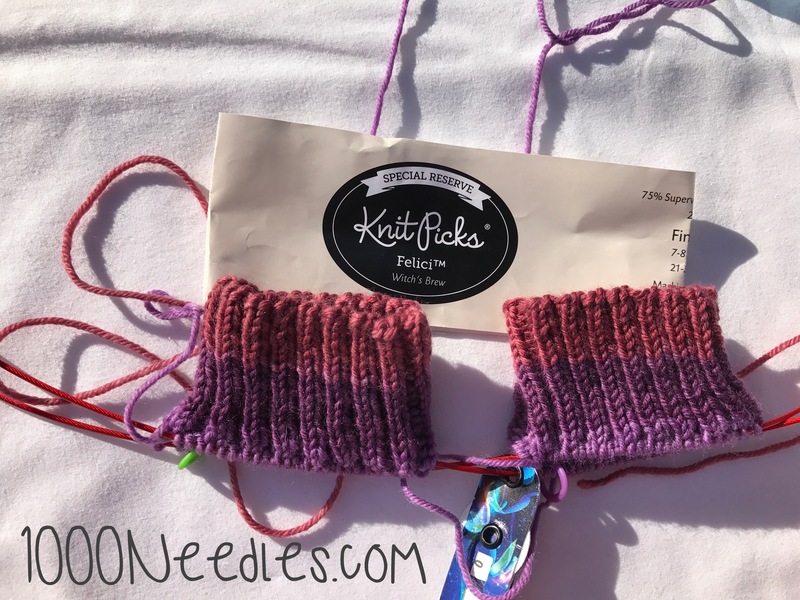 Christmas Socks – which is the Mercury pattern. 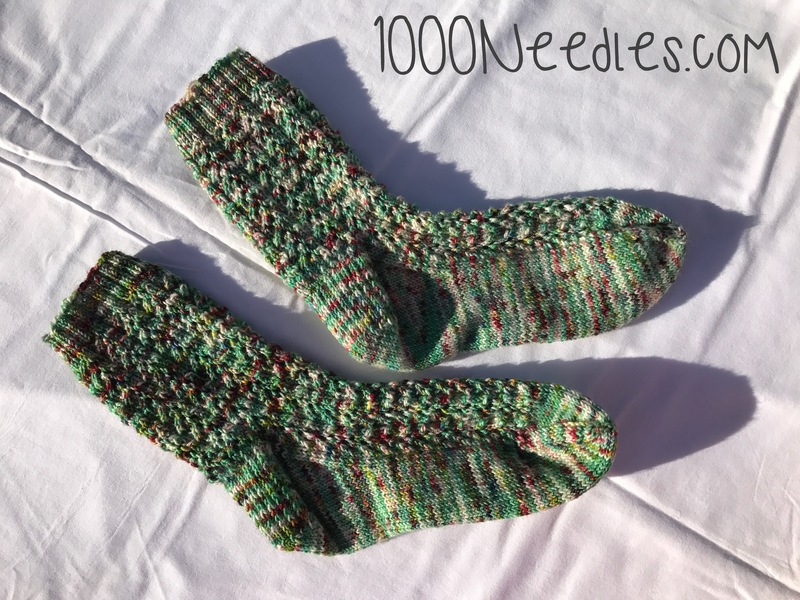 I’m almost done with these socks so the goal this week is to finish the toes, kitchener, take the final pic and finish the project on Ravelry. This is my secondary project and is pretty much almost done. 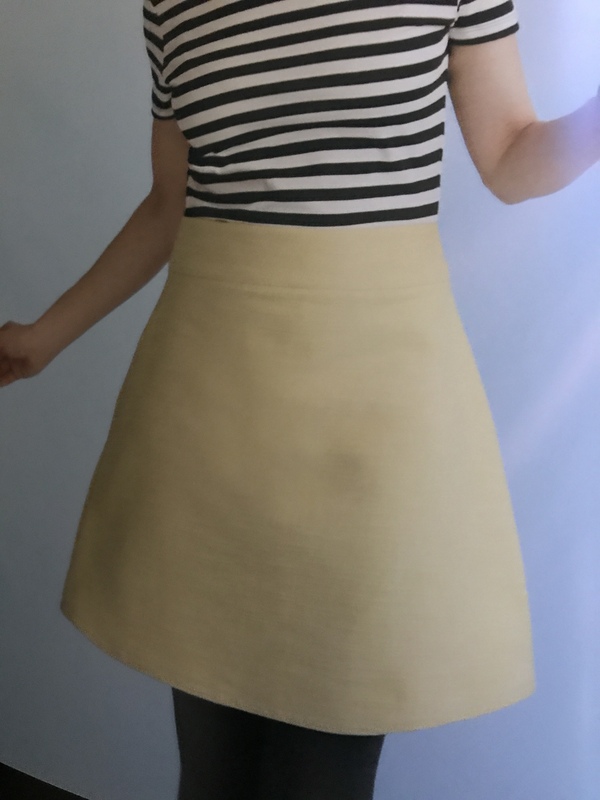 I actually messed up the ribbing on this one but I’m just going to keep it as is. 4. 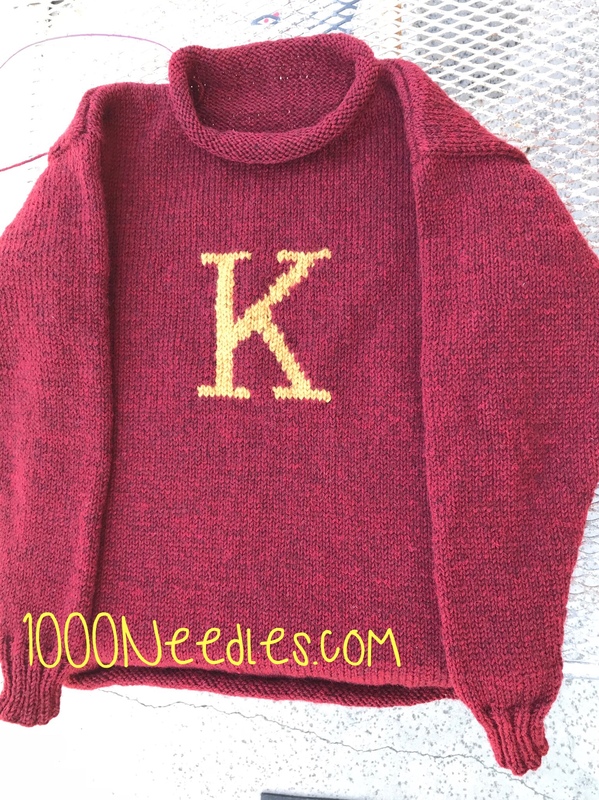 Kayla’s Weasley Sweater – Even though this is 4th on the list, it’s actually the third MUST work on project. 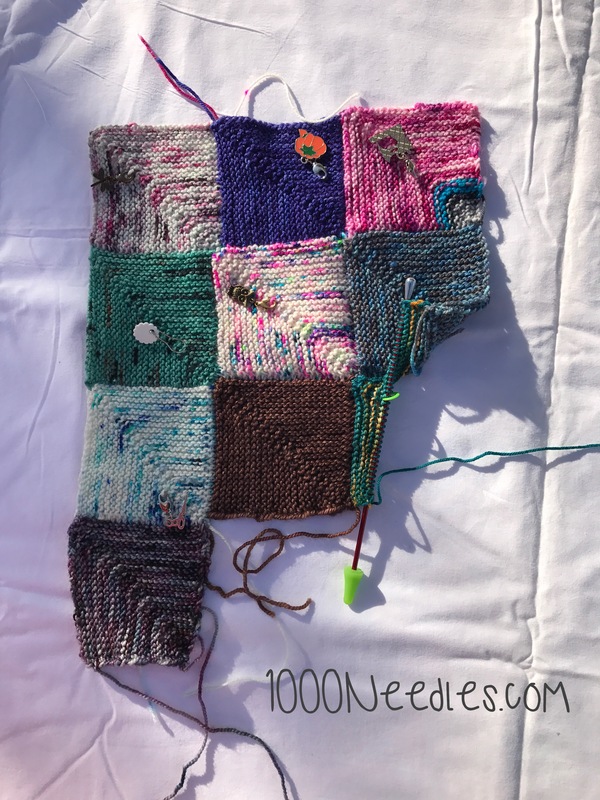 Once I finish the Christmas Socks, this will become my secondary project… It’s getting to the point where I feel it is almost done so this will be part of the daily tasks once the Christmas socks are finished.